The photo features baby Prince Louis being held by his grandfather, Prince Charles, offering a rare, candid glimpse at Charles as a doting grandfather. (LONDON) — A new photo of baby Prince Louis being held by his grandfather, Prince Charles, was published Monday in the British news outlet Sunday Times Magazine. The photo, taken by longtime royals photographer Chris Jackson, who’s been photographing the family for more than 15 years, came just days after Charles’ 70th birthday last week on Nov. 14. 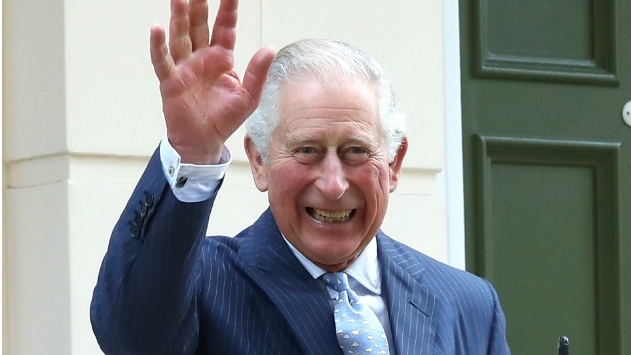 It features the heir apparent to the British throne embracing his youngest grandson, offering a rare, candid glimpse at Charles as a doting grandfather. Last week, Clarence House released new family photographs of the whole family together, the first official photos of the whole family since the christening of Prince Louis in July. The images showed the three men who will each be king: Prince Charles, Prince William and Prince George, all together.